Renovation of this 1970’s era dorm provided improvements and upgrades to whole building infrastructure systems, and rejuvenated interior spaces facilitate modern student life. 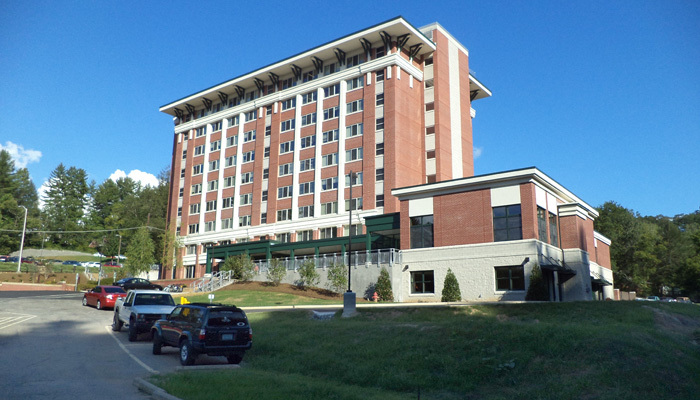 Comprehensive façade renovations, a new addition and landscaping updated the dorm to the WCU campus aesthetic. Sustainable features include geothermal HVAC system, new LED lighting, improved thermal envelope, and a systems dashboard used as a teaching tool for residents.